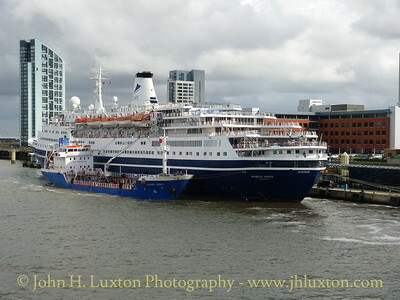 MS Marco Polo (19,860GRT / 1965) is a cruise ship owned by Global Maritime, under charter to UK-based Cruise & Maritime Voyages,having been previously operated by Transocean Tours, Germany. 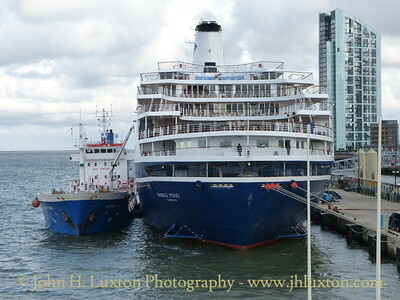 She was built as an ocean liner in 1965 by Mathias-Thesen Werft, of the German Democratic Republic as ALEKSANDER PUSHKIN for the Baltic Shipping Company of the USSR. 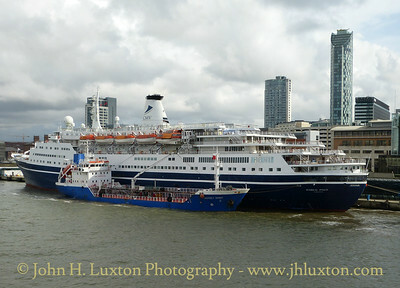 After major alterations and additions, the ship sailed as MARCO POLO for Orient Linesfrom 1993 to 2008. 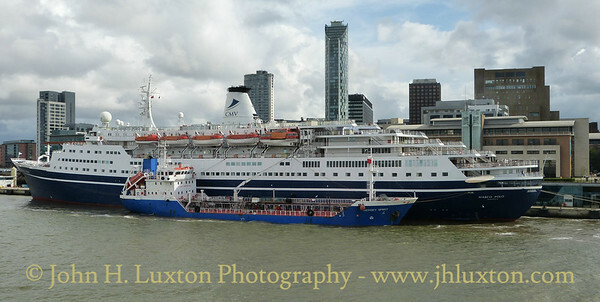 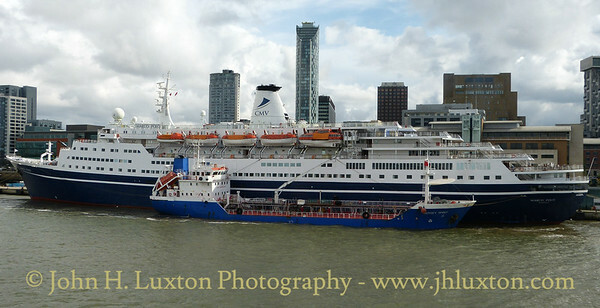 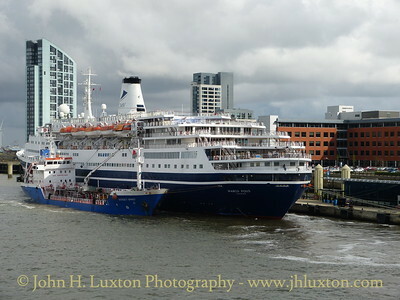 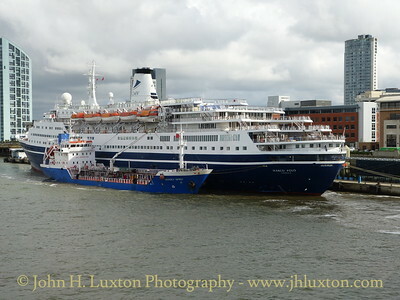 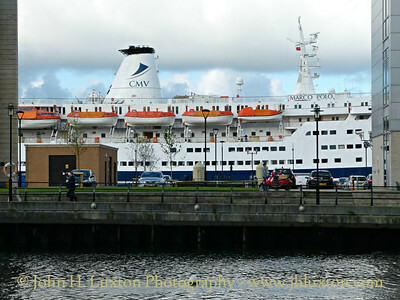 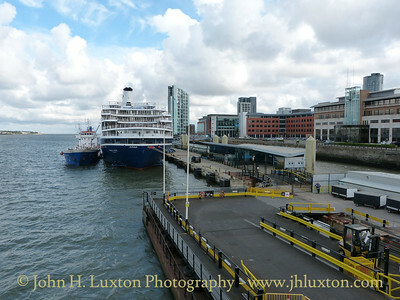 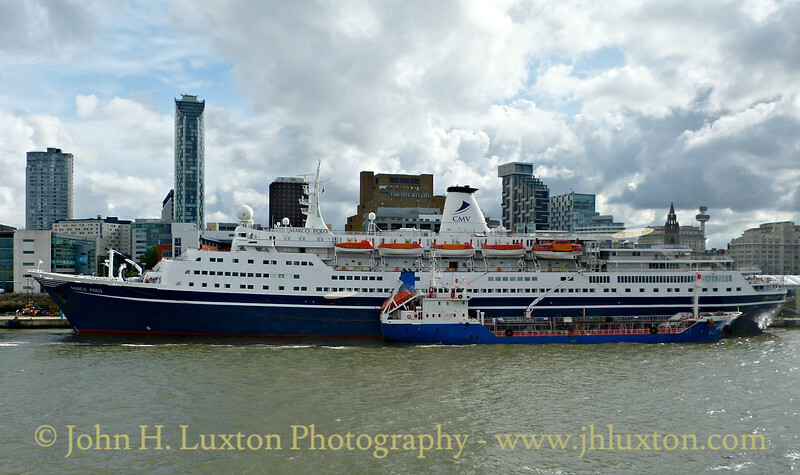 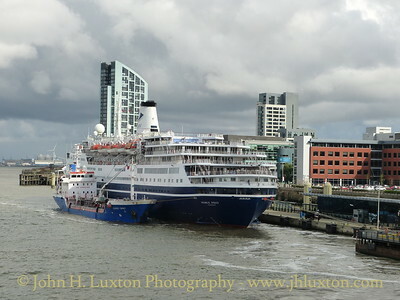 MS MARCO POLO at Liverpool Cruise terminal viewed from across Prince's Dock.